Having your phone on during a movie is a major annoyance to the majority of moviegoers, a fact that some theaters learned the hard way. One major film release is taking a different approach, however, and actively encouraging you to turn on your smartphone—during the end credits, at least. 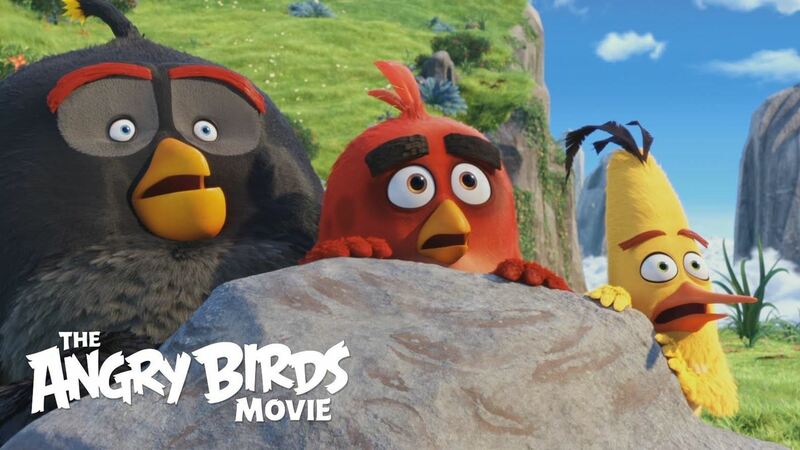 That film would be The Angry Birds Movie, and it's hitting theaters on Friday, May 20th, 2016. Rovio and Sony have been heavily promoting this upcoming 3D animated comedy, and the two worked closely together to deliver an experience to honor the movie's smartphone origins. This integrative experience will allow you to unlock a secret game level, Piggy Island, and an exclusive clip, just by turning on the free Angry Birds Action! game during the closing credits. Rovio is calling this "Movie Magic" and describes it by the following: "Movie Magic is where the Angry Birds Movie collides with Angry Birds Action!. Unlock extras at the Angry Birds Movie just by bringing Angry Birds Action! with you!" The Angry Birds Action! game is completely free to download, and works for both iOS and Android devices. And to reiterate, make sure you enable the microphone for the game, which should be an easy process that the game will guide you through. Then just open the game once the red badge is displayed during the credits to claim your exclusive content. For the privacy-concerned, Rovio also states that "the mic will only be used for the Movie Magic function." Besides Movie Magic, Rovio also unleashed more than a billion BirdCodes into the wild that you can use with the Angry Birds Action! game. BirdCodes are QR codes in the forms of the various Angry Birds. They are found in several locations, including restaurants, retail, and more. Once you find them, just scan within the game, and you'll unlock various additional mini games, power-ups, and digital content.